Tips for Reading: Read “You” and “I” as two separate individuals i.e., “You” and “I” as two names. If you still have difficulty reading, substitute an anonymous name in place of “You” and your name in place of “I” except the ones in quotations. “That’s it for the day” I whispers to his ears as he puts the 45-pound twin dumbbells on the 12 feet long iron rack. Prior to the workout, I played basketball for an hour. Tired, de-stressed, and worn out, I heads straight to the locker room. As he gets ready for shower, I keeps thinking about the wonderful basketball game he had with his fellow students. I murmurs, “I should play basketball and do workout at least four days a week”. I is a graduate student at an American university who loves to play basketball and to workout at the university gymnasium. I is also very particular about following Instructions. He takes a quick shower in the large common bathroom to the right of the small room that has white laminated sheet on its door that instructs, “please take a shower before entering the steam room”. As I enters, he sees no one in the room. Steam room is a small square room that has L-shape concrete bench for no more than 6 people to sit. On the right lower corner of the door, there is a steam dispenser that evaporates as soon as the room heat falls below the set temperature. On the top left corner of the door, there lies a temperature-monitoring box that helps maintain steam heat in the room. The floor and walls were plastered with beige-colored clay tiles broken down into small squared shapes. Stretching his two legs, I sits opposite to the steam dispenser for maximum steam heat in minimum possible time. With the steam flowing up from his feet to the head, I starts to feel calm, relaxed, and refreshed. As I begins to feel the pleasure of steam heat, his attention starts to revolve around his roots - a root that he himself finds difficult not to remember. I is immediately pushed into a state of hysterical mind where he tries to individualize between “being comfortable” and “being lost”. His mind no more feels the pleasure of having played a good basketball game, a healthy work out, or a refreshing steam bath. Gradually, the smile turns to frown as he sits ruminating the ongoing self-immolations in Tibet, the human rights violation in Tibet, the coldness of world leaders, and the dilemma of exile Tibetan leaders. I wonders, “Is there a hope for Tibet?” “Are Tibetan hoping against the hope?” “Are there better ways to resolve ongoing problems in Tibet?”…. The questions keep expanding while the answers keep shrinking. Suddenly, the world starts to look too big for a tiny group of individuals to seek justice and freedom they deserve. I hopes his fears are not wise. The door of steam room opens. I suddenly realize that he is still in the steam room – sweating heavily not because of the steam but of the bodily heat generated by his internal pain. I folds his legs to offer a welcome gesture to the new individual (named “You” hereafter), who enters the steam room. You sits on the lower end of the L-shape bench, just below the temperature-monitoring box, holding his water bottle on the right hand. You is a white male in early 20s studying in the same university as I. As and when the steam stops dispensing, You pours cold water from his bottle onto the temperature-monitoring box. It is remarkable to see how people find ways to maneuver the technology. You found ways to intensify the steam heat by pouring cold water into the box. I realize he is not the only person who welcomes instant gratifications. However, most disturbingly, Tibet and Tibetans hardly experienced instant, immediate, or any gratifications for its last six decades of talks, dialogues, and activisms. I replies, “Hi! I am from India but I am not an Indian”. At this, You moves his eyebrows to make sense of I’s response. Seeing You’s reaction, I adds, “I was born, raised, and educated in India but I am not an Indian. 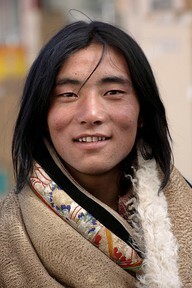 I am a Tibetan in India”. You starts to sense something but he was new to anything Tibet or Tibetan. It seems You has no clue on what I was talking. Adding more to the introduction, I elaborates, “It’s complicated. Technically, I am a born-refugee but India did not have a Refugee Act and so, all Tibetans in India need to renew their residential permit every year. Again, technically, Tibetans in India are not real refugee. They are just temporary residents. 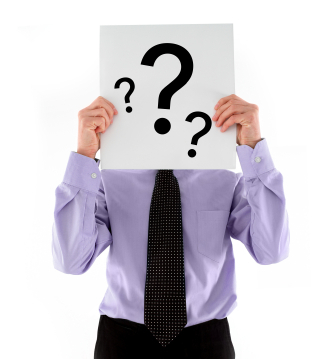 So, I would prefer to say – I am stateless or displaced. There is no country in the world where I don’t need a visa”. As I elaborates, You senses a feeling of pain and lost deep inside I. This question often haunts I. Theoretically, I cannot say I am a Tibetan because I was not born in Tibet. Most of the time, I finds himself in dilemma at this question. It’s about his identity – an identity that he constantly struggles to identify, an identity that he find himself mostly tangled in the law of opposites (discussed later). As Tsooo disappears, I explains, “Being a Tibetan is painful. The feeling of displacement never subsides. I was in South India till my Junior High, in North India for High School, in South India again for bachelor degree, in North India again for master’s degree and work, and in the US right now for graduate education. I don’t know where I will end up next. I never felt settled. I never felt at ease. I never felt I belong to any part of this world. I never saw Tibet. I don’t know what it is meant by ‘home’. I never found myself at peace. The cost of being a Tibetan comes with emotional bruises that leave permanent scars and pains. You want to do something for Tibet yet nothing seems to work. I can go on for hours on this. So, I will stop here”. By now, You seems to take interest in I. You sees the pain and passion in I’s eyes and words. However, You is hesitant to ask another question as he feels bad at making I emotional. Feeling bad of asking these questions, You apologizes, “I am sorry to ask all these questions. I didn’t mean to…”. At this, I interrupts and replies with a Tibetan smile, “Its not about who I am. It is what Tibetan is all about. Please feel free to ask any questions. I am more than willing to answer”. You and I both paused for the steam dispenser to stop Tsoooing. You then asks, “How you feel in the US?”. I replies, “Confused”. Suddenly, You fires another quick question, “Why?”. At this point, I sees the curiosity in You’s eyes. You may be expecting a more positive response as the US is known for being a land of opportunity and freedom. Though the US is a land of opportunity and freedom where everyone is generally treated equal in the eyes of law, the impression of Tibetans are very exotic. They are generally stereotyped as a group of people with noble characteristics such as love, compassion, wisdom, and smiley face. Some even go further to romanticize Tibetan as a sacred and holy people of the mystical and mythical Shangri-La. Taking a deep sigh, I replies, “Its confusing because I have to constantly juggle around the logic of opposites. Many Americans consider Tibetan as nice, simple, loving, and compassionate people. This is a stereotype of Tibetan which makes an individual like me to ask myself – should I behave like a Tibetan or should I behave like another normal human being?”. I sounds little aggressive with these sentences as if he is not happy with the stereotype or generalization of Tibetan people (FYI - there are some level of stereotypes for any races). After few seconds of pause, I further adds, “Generally, Tibetans are not nice, loving, and compassionate as the world see them. There are many crimes, abuses, discriminations, injustices, and other problems in Tibetan communities, similar to any societies or communities around the globe. This romanticization of Tibetans is proving a stumbling block for addressing many social ills or problems. For instance, it is very disturbing to see how Tibetans react or respond to any unfortunate incidents or shameful acts. They tend to hide these incidents or acts with an intention of not damaging this romanticization of Tibetans by the outside world. Do Tibetans really need to care more about what others think of them and less about addressing the growing social problems within their communities? Take an example… if you look at me, I am not nice; I am not loving; I share what most American young adults love to do. I just want to be treated as another individual”. Though You starts to know more about I, he opts not to ask more questions as I was getting extremely passionate, emotional, and disturbed. As You starts to make an exit, he shoots a final question. At this, I replies with his own smile, “Oh Yeah. On the afternoon of my first day of arrival in New York City, I walked the Times Square in my Made in India’s boxer”. At this, both You and I smiles and laughs. By this time, both You and I had enough of steam bath. They decide to head back to their respective apartment to fulfill their students’ obligations. You shakes hand with I to say, “Thank you for sharing all these. It was enlightening. I would love to hear more about Tibetan culture next time. I hope to see you around”. I acknowledges, “Your welcome. See ya around”.